While couples can choose to drive themselves to the venue, there are several options available if they want to arrive at their destination in a more memorable and stylish fashion. One such option includes limousine hire, where a chauffeur can transport the bridal party in luxury. There are numerous benefits to organising limo hire in Melbourne, some of which are detailed below. By making you the centre of attention and giving you access to a fantastic range of amenities, limo hire in Melbourne is guaranteed to make your wedding ceremony and wedding reception feel even more special. Professional chauffeurs can safely transport you to your destination on time – and when you arrive, they can even set up red carpet for you to walk across! There’s nothing worse than being late to your own wedding as a result of being stuck in traffic or being unable to find a parking space. Fortunately, limousine hire in Melbourne can get you to your destination without any issue, saving you from having to worry about working these things out yourself. Limo hire can also be used to transport you and your guests on your hens or bucks night. Ensure that your wedding day is filled with special and unforgettable experiences. 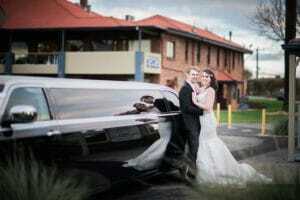 Contact LimoZone today to book one of our glamorous limos for hire in Melbourne. Call us now on 0419 598 717 or enquire online to receive a quick response.